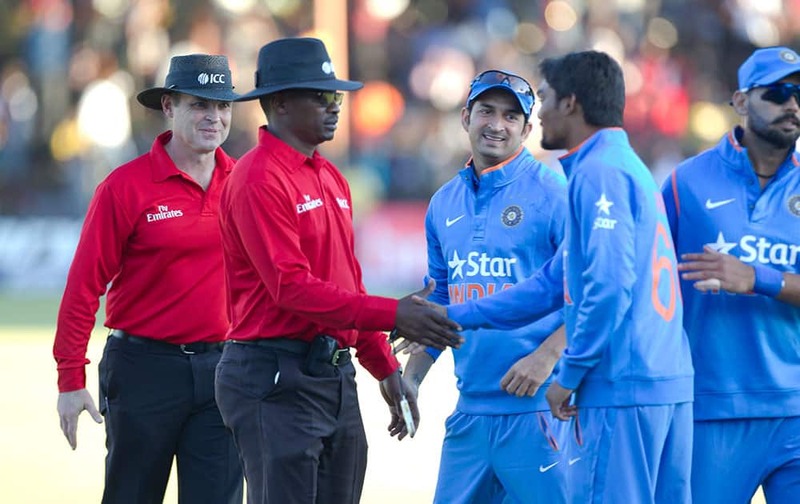 Indian cricket players shake hands with the umpires after the match on the second day of the One Day International cricket match against Zimbabwe in Harare, Zimbabwe. 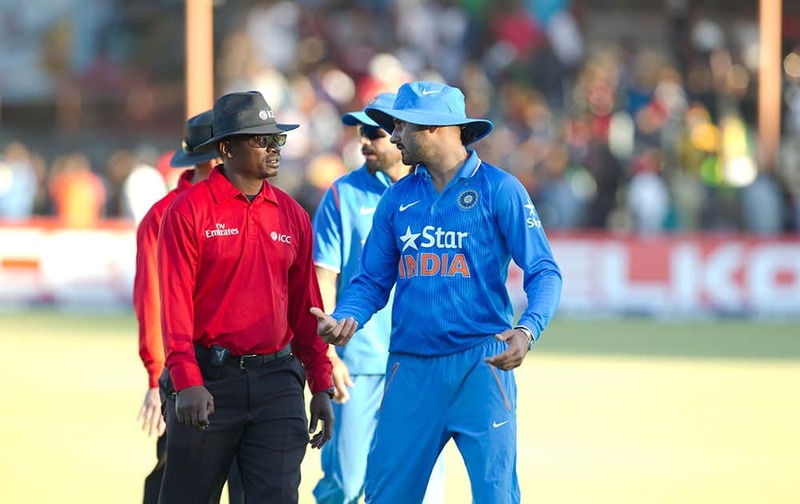 Indian bowler Harbhajan Singh, right, talks to the umpire after the match on the second day of the One Day International cricket match against Zimbabwe in Harare, Zimbabwe. 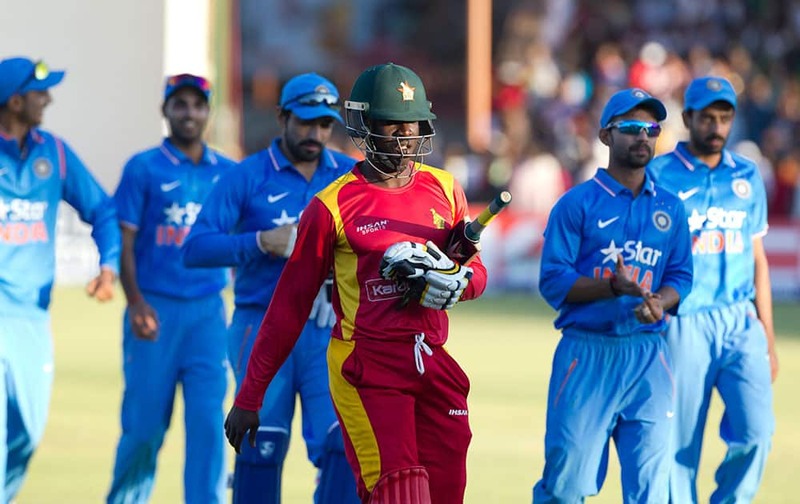 Zimbabwean and Indian cricket players walk off the pitch after the match on the second day of the One Day International cricket match between the two teams in Harare, Zimbabwe. 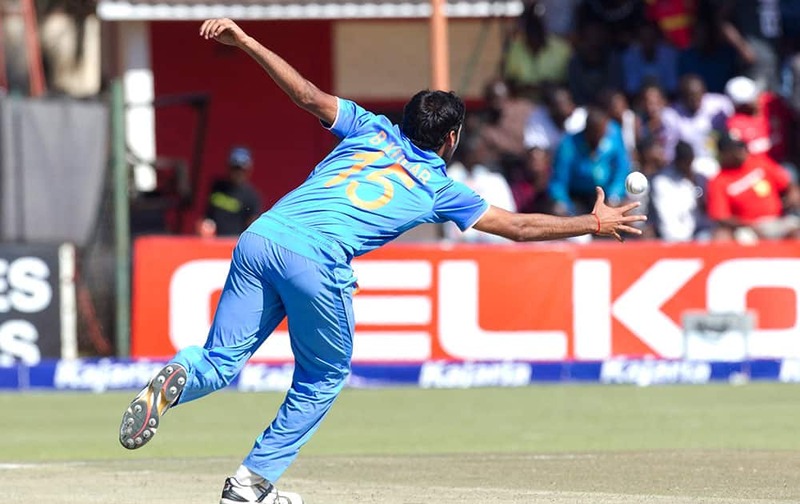 Indian bowler Bhuvneshwar Kumar reaches to stop the ball, during the second One Day International cricket match against Zimbabwe in Harare, Zimbabwe. 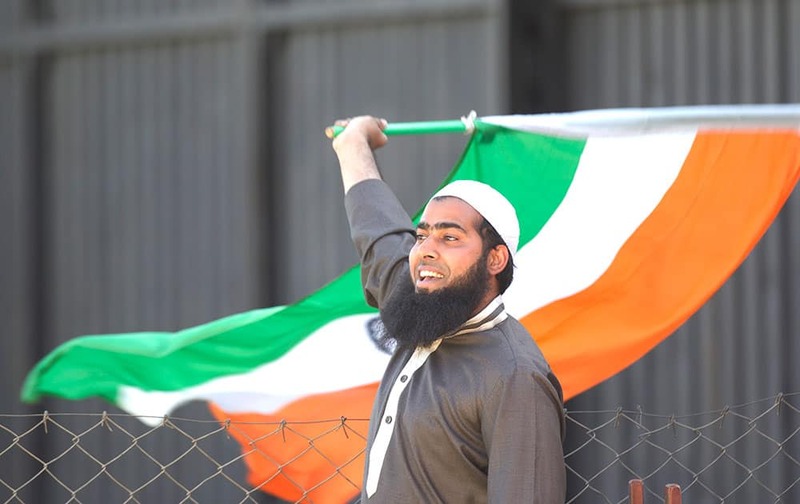 An Indian cricket fan waves the Indian flag on the second One Day International cricket match between India and Zimbabwe in Harare, Zimbabwe. 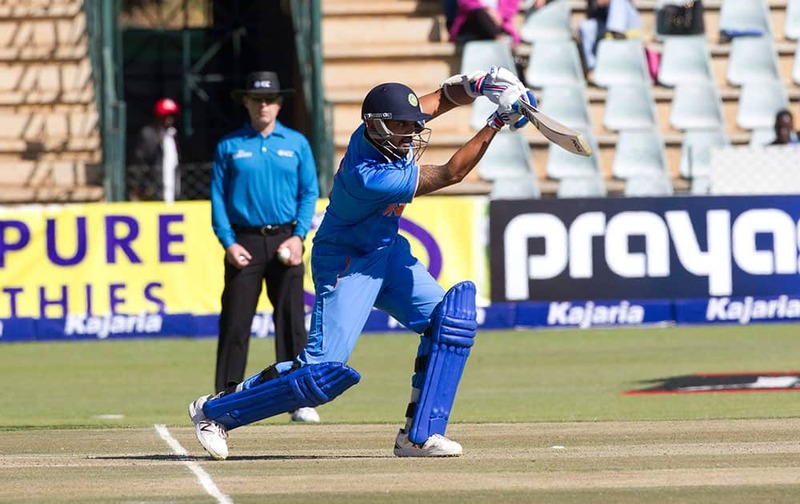 Indian batsman Ajinkya Rahane, left, plays a shot to Zimbabwean fielder Sean Williams on the second day of the One Day International cricket match against Zimbabwe in Harare, Zimbabwe. 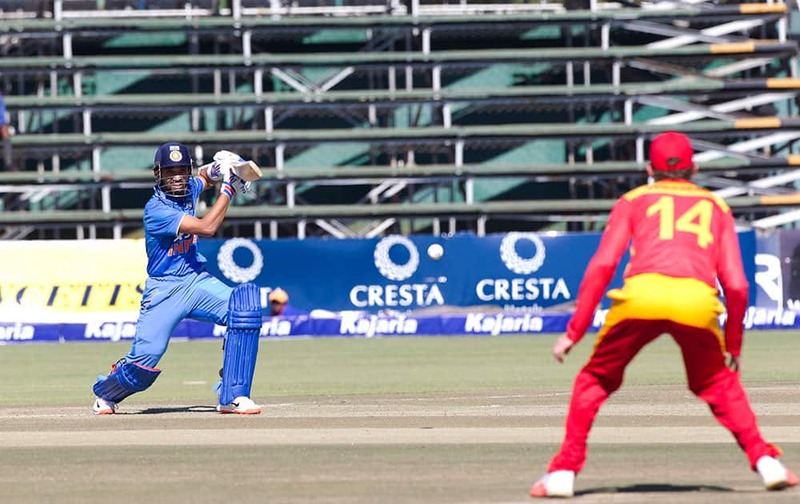 Indian batsman Murali Vijay drives a shot in the second one-day international cricket match against Zimbabwe in Harare, Zimbabwe. 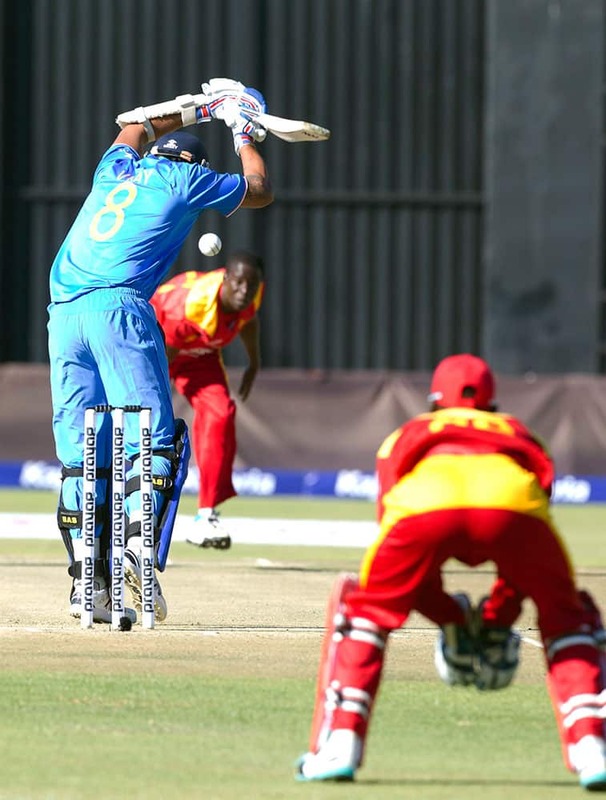 Indian batsman Murali Vijay avoids the ball in the second one-day international cricket match against Zimbabwe in Harare, Zimbabwe. 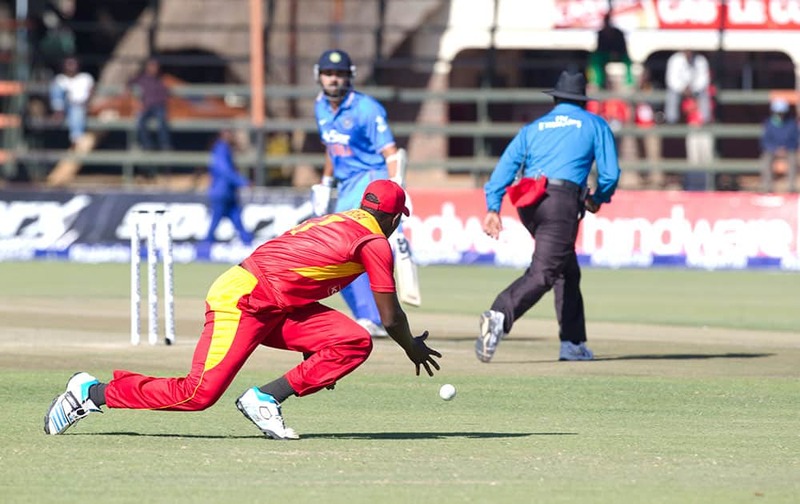 Zimbabwean captain Elton Chigumbura stops the ball in the second one-day international cricket match against India in Harare, Zimbabwe. 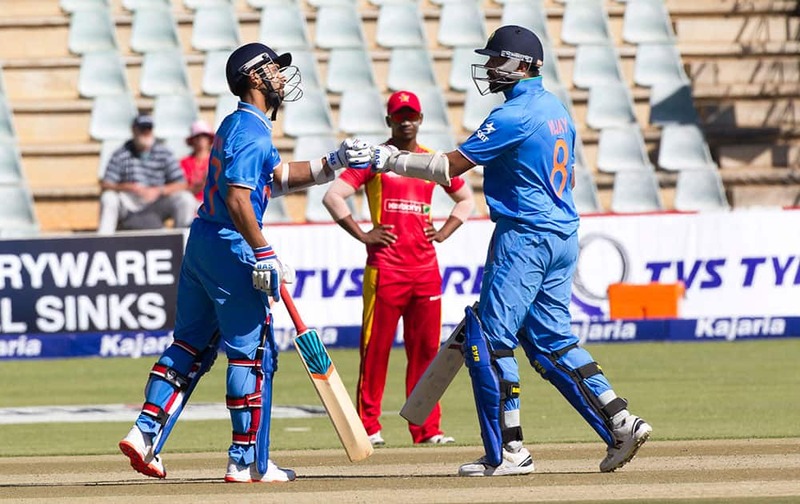 Indian batsman Ajinkya Rahane,left, and Murali Vijay touch gloves in the second one-day international cricket match against Zimbabwe in Harare, Zimbabwe. 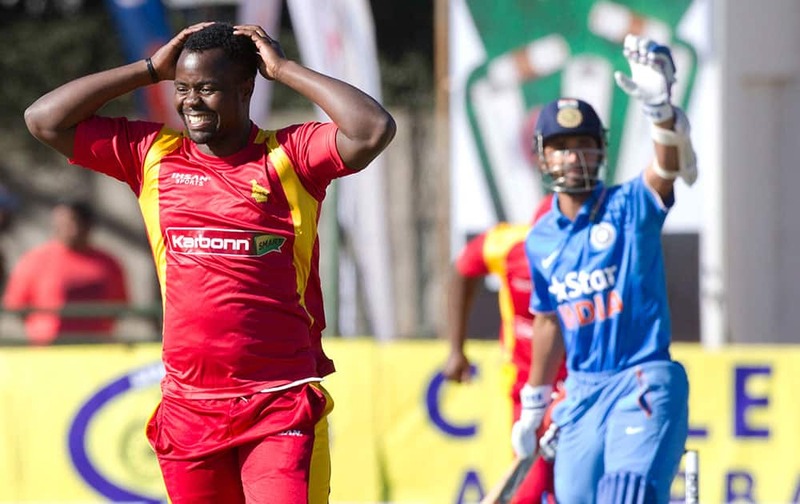 Zimbabwean batsman Brian Vitori reacts after missing out on the wicket of Indian batsman Murali Vijay in the second one-day international cricket match in Harare, Zimbabwe.